With the dominance of Brexit, the surges in technology and the concerns regarding labour; 2018 is turning out to be a year of uncertainty for the construction industry. But what are the main issues facing the sector and how can it ensure optimum profitability and productivity beyond 2018? Here, we explore the major concerns of the industry — from the workforce to green processes — and discuss how professionals can practically overcome these obstacles to ensure their sector keeps developing. Recently, the Federation of Master Builders — the UK construction industry’s largest trade association — announced that the shortage of workers had faced its worst level on record for small and mid-sized firms. From bricklayers, carpenters and plumbers, to electricians and plasterers; the scarcity of employees is reportedly across the board. While skill shortage is a large enough issue, it is also having another detrimental effect on the industry — cost. Due to the lack of skilled tradespeople, wages are rising for jobs within the sector, which, along with a rise in material cost, is impacting on profitability for building companies. The main issue with Brexit for almost all UK industries is the uncertainty. 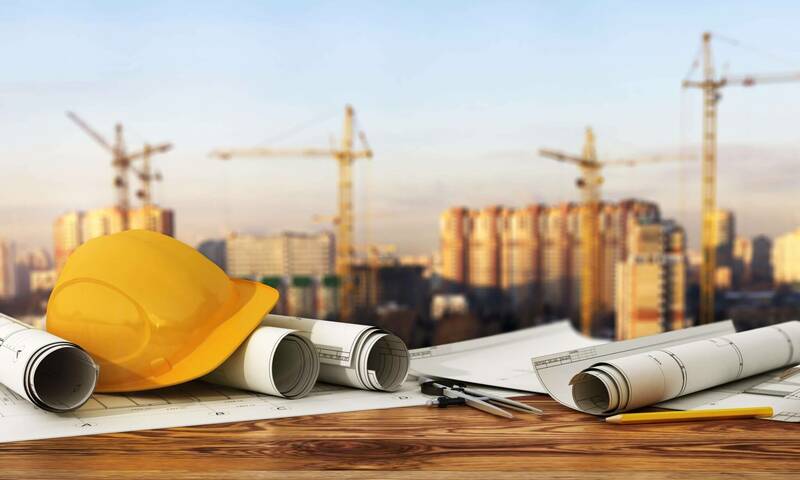 While there is speculation regarding how the construction sector will fare after 29 March 2019 — the official leaving date — negotiations are ongoing, and we don’t yet know how taxes, imports and labour between the UK and EU will pan out. However, official statistics suggest that more than 5% of construction workers come from EU nations, with this figure increasing to approximately 50% in south-east England and London. John Slaughter, director of external affairs at the Home Builders Federation, said that to improve the housing sector, the UK will “need access to foreign workers under a manageable migration system” post Brexit. Consequently, any block on EU workers entering the UK construction industry could cause further problems for the industry’s current worker shortage — as well as the government’s drive to build 300,000 homes a year. Of course, labour isn’t the only part of construction that could be affected after the UK leaves the EU. According to government data, around 62% of imported building materials come from the EU. Combine this with a potential negative change in VAT and tax, and a loss of access to the European Investment Bank and European Investment Fund — major investors in construction SMEs — and we could see higher product prices and less capital for the construction sector. According to the World Economic Forum, the construction industry can account for up to 40% of the world’s carbon emissions. With a global drive to crackdown on carbon emissions, any sector that doesn’t assist with this initiative could run the risk of incurring sanctions and fines — another potential hit that could affect the construction industry’s profitability. Technology is evolving for all UK sectors, but how quick is construction in incorporating new machinery and adapting to fresh processes? From robotics to BIM — building information modelling — there’s a wave of new technologies and gadgets available to help make construction more efficient and profitable. However, this is only possible if building firms of all sizes are willing to get on board with a new way of working. The Chartered Institute of Building claims that the construction sector will need to secure 157,000 new recruits by 2021 if it wants to keep up with demand. One method of enhancing the construction workforce is perhaps to encourage more apprenticeships in the industry — and positively, apprenticeship starts are at a record high in the UK construction industry at the moment. According to the Construction Industry Training Board, figures hit 26,195 by the end of 2017 — nearly 10,000 more than the number in 2012. If the industry wants to prosper down the line, it will need to keep encouraging young workers to take on apprenticeship programmes as soon as possible, whether this is via positive workplace initiatives, bonuses or a closer relationship with schools. Nobody knows how Brexit will affect any industry once the deal has been finalised. However, it’s clear that material costs and the ease of employing the labour of EU nationals are the sector’s greatest concerns. To keep material costs down, building companies must keep a detailed inventory of what they have and what they need. Replacing can be more costly than simply repairing and vice versa, while not ‘shopping around’ for the best local prices can mean bargains are missed. Although we may not see a significant increase in charges and tax for EU imports, it may be worth sourcing UK- and none EU-based alternatives now to ease the pressure in 2019. Regarding the EU workforce, the European Commission recently allowed a petition to go ahead that is demanding permanent EU citizenship following Brexit. If it passes, this will arguably at least help the construction industry retain its current EU workers. However, a deal is still pending to determine how easy it will be for workers from countries currently in the EU to move to the UK after March 2019. The government is determined to lower carbon emissions by at least 80% of 1990 levels by 2050. So, the construction industry needs to be active in reducing its contribution to emissions if it wants to avoid potential financial penalties. Firstly, building companies can strive to ensure they use recyclable materials before every project. Furthermore, many construction vehicles, such as cherry pickers, come with eco-friendlier hybrid motors or can be powered by batteries, while utilising solar energy panels, non-toxic paint, locally-grown timber, and low-energy lightbulbs during the construction process will all contribute to a greener industry. According to Burcin Kaplanoglu, leader of Industry Strategy and Innovation at Oracle, the construction industry made progress last year in its bid to incorporate new technology. But what does this new technology include? Construction software that eases communication between different teams on a single building project is growing in use and popularity across the sector, as are BIM and augmented reality technologies which help project managers spot potentially costly issues before the physical construction. Similarly, robotic machines are helping ease the pressure of a lack of low-level workers while making potentially hazardous jobs easier to complete, and advances in materials — such as self-healing and permeable concrete solutions — are solving longstanding problems, like cracked building foundations. It’s possible that construction companies can help protect themselves from using inefficient, labour-intensive and environmentally-unfriendly methods by learning about new technologies and bringing them into their workspaces. Clearly, there are obstacles to overcome in construction. However, a bright future is not unattainable. By adopting eco-friendly processes, being responsive to new technology, having a plan in place for Brexit, and encouraging apprentices to come on board; the sector can thrive in 2018 and beyond.